Alien is partnered with a number of RFID Label providers that offer labels built on Alien RFID inlays. For over 35 years, Bristol ID has been a “behind the scenes” partner, innovating advances in card technology from printed cards to the next generation of technology-driven RFID cards. Offering an exciting portfolio of customizable RFID solutions. Unique custom manufactured RFID shaped or sized pieces. Customizable tracking solutions– robust RFID tags and labels, including adhesive back tags and labels. Our technology options provide us with the ability to incorporate the industry’s latest technologies into a variety of secure RFID applications. Committed to creativity in thought, excellence in production and a unique, honest approach to our customer communication. CCL Label Inc. has served the packaging, promotional and pharmaceutical industry for over 50 years and is the leader in the North American market for pressure-sensitive self-adhesive labels and promotional products. CCL Label Inc. designs and prints a wide range of high-quality paper and film, pressure sensitive, RFID and security labels as well as in-mold, shrink sleeve, expanded content, Spinformation® rotating labels, and printed promotions to help leading consumer product marketers in support of their brand strategies. CCL Label Inc. has plants located throughout North America, Europe and Thailand offering specialized press technologies and unmatched capabilities on a global level. CCL innovations enable companies to clearly differentiate and effectively promote their products with eye-catching consumer appeal. For more technical information regarding Smart Labels contact Robert Ryckman, Director of Marketing/ PD, of the Healthcare Solutions Group at (609) 443-3700 or rfid@ccllabel.com. CGP, Inc. is a leader with RFID Smart Labels offering solutions for all labeling requirements. We have established partnerships with global integrators in hardware and software implementation. RFID Smart Labels are converted in our state of the art facility in North Carolina under strict industry standards. For an overview of all products and services, please visit www.cgplabels.com or call us at 919-585-0100 and talk with one of our RFID representatives. Chicago Tag & Label is a resource for custom print products such as integrated form/label combinations, bar codes, variable imaging, labels, tags, LINER-LESS™ and RFID-enabled products. As a custom manufacturer, we can produce just about any kind of identification product your specifications require. Our investment in research and development has resulted in substantially increased production speeds and efficiencies that mean reduced costs to our customers. State-of-the art equipment, a strong commitment to quality, and annual volume purchase agreements with our suppliers also contribute to our ability to offer lower prices. Listening to our customers’ needs and satisfying them has been our mission since 1946. Today as technology enhances capabilities and increases production speeds, the art of listening and responding is even more important to everyone’s success. By listening to your requirements and hearing your concerns, we can develop an innovative solution that will meet your specific application and time line. To find out how Chicago Tag & Label can assist you with your RFID needs, please E-mail them to rfidspec@chicagotag.com or call 1-800-826-8260. With a rich history in the industry, DSS Plastics Group has been providing ground breaking plastic card printing solutions to governments and corporate clients worldwide. From card applications for FedEx, Virgin Records, and Chicago’s O’Hare Airport to top-level ID cards for the Guatemalan Consulate, the Government of Nigeria and Baja, Mexico, DSS Plastics Group takes pride in leveraging our expertise to craft the most innovative and appropriate card solutions available. Frontweb Incorporated is the recognized leader in metal mount durable RFID tags and custom tamperproof RFID enclosures. An authorized Alien Technology partner and reseller. Frontweb has the resources required to deliver the complete RFID package from conception to completion including; RFID readers, tags, antennas, custom solutions and consultation. George Schmitt & Co. has been on the cutting edge of printing and specialized finishing techniques for over a century. Its latest patent application outlines an exciting new methodology for providing unique solutions to RFID label assembly and testing. George Schmitt & Co. provides a complete solution including high quality high security printing, converting RFID tags, creating the label/tag assembly and reading and writing the RFID tags on Schmitt designed equipment. Most importantly, George Schmitt’s customized assembly and test systems are designed to assure that all RFID labels/tags shipped are 100% readable. Global Venture’s Label Division, is a leader in offering comprehensive solutions for all labeling needs. Its Smart Label Division offers complete solutions for RFID applications, whether it is an entry level Slap & Ship operation, or state of the art automatic platforms. Through Strategic Alliance Partnerships with leading systems integraters, hardware, middleware and software developers, we deliver satisfaction. RFID Smart Labels are converted in our state of the art facility in the Northwest under strict industry standards. Technology delivered at a reasonable price. IC-TAG Solutions, Inc. specializes in manufacturing UHF, HF, LF and NFC Radio Frequency Identification (RFID) labels, tags, wristbands, cards, hangtags and much more. We carry a variety of stock with small order quantities for most RFID printers and encoders, as well as versatile custom product production capabilities. IC-TAG Solutions, Inc. inspects, tests all IC-TAG’s™ RFID labels prior to shipment. All IC-TAG™ labels and tags are produced using fully tested RFID inlays from trusted sources such as Alien Technology. Strong industry partnerships with raw goods suppliers allow us to keep price of RFID competitive. We service consumer packaged goods companies, as well as retail apparel, pharmaceutical, supply chain industries and the Department of Defense (DoD). IC-TAG is also a proud 5-year GSA contract holder GS-02F-0164X for RFID labels. For more information regarding IC-TAG’s RFID offering, please contact customer service at 1-708-430-4190 or info@ictagsolutions.com. Labelink is Canada’s premier converter of passive UHF, HF and NFC RFID inlay labels and tags since 2004. We partner with industry and materials experts to deliver to the end user, quality inlay labels and tags that perform in a vast range of applications. Labelink is a recognized “best in class” manufacturer of pressure sensitive labels and flexible packaging for the Health and Beauty, Food and Beverage, Pharmaceutical and Packaged Goods industries. Operating as a privately owned Canadian company in Montreal, Quebec City and Toronto, Labelink has the privilege to be partners with Alien and many fortune 500 customers. Our 160,000 square feet of manufacturing space, and service bureau for RFID, follows the latest in lean manufacturing principles. As a process and product innovator, we are a lean, 6 Sigma organization in addition to being pharmaceutical approved following GMP and ISO 9001:2000 standards. Marnlen RFiD designs, manufactures, and supplies standard and custom flexible RFiD labels – along with the application engineering support to ensure customer satisfaction, even in the harshest operating environments. Marnlen RFiD is a division of Marnlen Management Limited, a privately owned corporation established in 1977, with state-of-the-art 250,000 square foot ISO 9001:2000 certified facilities in Toronto, Canada. Six Sigma quality system methodologies guide the actions of the 400 employees of Marnlen Management. Marnlen RFiD offers customers the label design, manufacturing, and licensing expertise of sister divisions Sandylion Sticker Designs, the world’s largest sticker company with retail space in over 100,000 locations in 60 countries, and Labelad, the award winning pressure sensitive label and flexible packaging manufacturer serving North American brand builders. Metalcraft, a leader in the identification products since 1950, manufactures durable id products for identifying, tracking and controlling property, products and processes. These customized products may include consecutive numbers, constant copy or variable data using bar code and/or RFID technologies. Metalcraft specializes in manufacturing a variety of customized RFID tags including harsh environment RFID tags and a variety of metal mount RFID tags for RFID asset identification and in-process tracking. Metalcraft’s digital printing and state-of-the-art RFID converting capabilities also makes them a perfect label converting partner offering customized solutions for many applications. Meyers is a market leader in custom converting and finishing of advanced RFID smart labels, cards and tags. We utilize “state-of-the-art” modular inlay converting and printing equipment, with the ability to transform RFID inlays into a variety of form factors and layer constructions. Mid South RFID, a division of the Resource Label Group, headquartered in Franklin, TN is dedicated to providing RFID application expertise to markets and customers worldwide. We are pioneers in the computerized labeling and application industry through the manufacture of high-quality specialty tags and labels. Our innovative, cutting edge solutions provide our customers with verified results on unprinted, printed, thermal, prime labels and complex structures. At Mid South RFID, Our 100% verified products can be found in a wide range of complex industrial applications including airline baggage tracking, inventory management, retail medical devices, pharmaceutical and healthcare. We also work very closely with all levels of local, state, federal and foreign governments as well as several fortune 500 corporations. With our relentless focus on providing the best customer service, we work closely with each customer to define their specific requirements and to create a customized solution that meets their needs exactly and on time. Whether your application is as simple as an unprinted thermal RFID label or as complex as a custom converted prime RFID label, Mid South RFID has the years of experience, expertise, rapid-turnaround time and technology to meet or exceed your expectations. Headquartered in Hauppauge, New York, MGI – Mini Graphics, Inc. has been owned and operated by the DeLise family since 1982. Operating in its state-of-the-art facility, MGI continues to be a leader in the industry. MGI’s years of RFID experience and strategic partners ensure successful implementations from pilot to e-pedigree compliance. MPI Label Systems, with 500+ employees, eleven manufacturing facilities and 35 sales offices, has specialized in pressure-sensitive, flexographic labels, shrink sleeves, and labeling systems for 40+ years. The company has been a pioneer in the development of RFID and digital label production and application technology. MPI’s Machine Division, is an authorized, licensed sales and service agent for Zebra Technologies RFID printers/encoders. The RFID Division inventories RFID labels most common sizes and offers a number of different face stocks. RFID labels can be ordered blank, pre-printed, or pre-encoded. NFC tags for use with mobile phones are also available with NTAGS being the most common. Nashua Corporation manufactures and markets a wide variety of specialty imaging products and services to industrial and commercial customers to meet various print application needs. Nashua’s products include thermal coated papers, pressure-sensitive labels, RFID labels and tags, bond, point of sale, ATM and wide format papers, entertainment tickets and ribbons for use in imaging devices. Nosco RFID packaging integration experts help drug producers, medical device manufacturers, and distributors analyze, acquire, and incorporate RFID technologies into printed packaging solutions. Learn more by contacting Gregg Metcalf at 888.299.5661, or gmetcalf@nosco.com. PLITEK L.L.C. is a leading provider of customized die-cut components and specialty films serving the medical, electronics, industrial, transportation, packaging, and RFID industries. The company is a global supplier shipping products into over 28 countries around the world. PLITEK has over 40 years of raw material, adhesive, and converting expertise. They are ISO-9001: 2000 registered, FDA registered, GMP compliant, and has numerous 6 sigma quality awards. Their integrated manufacturing facility and innovative smart label converting process is fully equipped to handle many types of RFID label applications today. Plitek delivers a customized engineering process, superior quality, and consistent on-time delivery while providing a cost effective solution for their clients. To find out how PLITEK’s smart label solutions can work for you today, please Email them at rfid@plitek.com, call 1.800.966.1250 (1.847.827.6680), or visit their website. Print-O-Tape, Inc. is one of the nation’s largest independent manufacturers of pressure sensitive labels and materials. For nearly 60 years, Print-O-Tape has been providing its valued clients with innovative products, and exceptional service. In the 1950’s, Print-O-Tape became one of America’s first label printers to invest heavily in the technology and equipment to coat adhesives and silicones. Recognized for innovation, Print-O-Tape has been awarded several patents for proprietary processes. The rewards of this fully integrated raw materials and printing manufacturing process translates into extremely cost-effective labels for Print-O-Tape clients. Founded in 1974, Repacorp Inc. has grown to become one of the nations’ largest label-converting and specialty printing companies. Repacorp now offers RFID enabled pressure sensitive labels and tags. Our RFID tags & labels are available in a wide range of standard sizes as well as custom form factors, face sheets and adhesives. Up to six color printing prior to transponder insertion is available for item level or prime label applications. Our inlay insertion process is compatible with most EPC/ISO compliant transponders including Gen2 product. All of our smart labels are 100% electrically tested prior to shipment. To learn more about Repacorp’s RFID products and services please email Rochelle L. Heinl, Manager, RFID Business Development at rochelle.heinl@repacorp.com or by telephone 1-800-323-4415 x-235. Retailers Advantage invented a new reusable RFID tag for fashion with added EAS/RFID. Currently our a3tag innovation has proven more than 40% theft reduction in three top department store chains. Whitepaper by the University of Florida is available for the Macys test prior to adding RFID. The current a3tag detacher will open existing Sensormatic Microgaters/Ultragaters as well as the new a3tag…..now stores can upgrade as they move forward into RFID. Our very latest innovation is to build a detacher than can open existing Tyco Supertags and our New Supreme tag. Again this will help retailer expand into a new technology while they are still using their current EAS tags. The patents have been issued and design and build is available now. How do we save money for retailers….? Our innovative tags cannot be defeated as easily with a simple hook or magnet. RR Donnelley is among the largest and most innovative label converters in North America. With 10 dedicated manufacturing plants and the most complete product line in the industry, RR Donnelley is ready to handle all of your label requirements. Please contact Adele Shipston at (716) 286-2201 for details on RFID labels and systems from RR Donnelley. RR Donnelley (NYSE:RRD) is the world’s premier full-service global print provider and the largest printing company in North America, serving customers in publishing, healthcare, advertising, retail, telecommunications, technology, financial services, and many other industries. Founded more than 140 years ago, the company provides solutions in commercial printing, forms and labels, direct mail, financial printing, print fulfillment, business communication outsourcing, logistics, online services, digital photography, color services, and content and database management. The largest companies in the world and others rely on RR Donnelley’s scale, scope and insight through a comprehensive range of online tools, variable printing services, and market-specific solutions. Southern Index, an Alien Technology approved RFID label converter, has served the digital print and packaging industry for over 25 years. Starting in the digital tab market and evolving into a digital substrate provider, Southern Index specializes in both stock and custom applications. These applications include RFID labels, ID cards, integrated labels, magnetic striped cards and custom perforated sheets in both paper and synthetic materials. RFID labels have been a natural fit for an “outside the box” solutions provider like Atlanta based Southern Index. We have recently made major capital investments to improve and expand the capabilities of our manufacturing process to meet the needs of an ever changing digital print and packaging market. For more technical information regarding RFID label applications contact Jay Norris at 800 452 6028 x241. Starport Technologies LLC has developed state of the art production capacities to produce a wide range of RFID tags and labels. This, along with our exclusive license agreement with the ITTC to produce a wide range of patented asset tracking tags, gives Starport and its customers an advantage in cost, quality and performances. This new technology, added to our existing capabilities, gives us the ability to supply our customers with all of their RFID tag requirements. For a competitive quote on an existing tag, or for more information on our range of asset tracking tags that work on medal, please visit us at www.starporttech.com. The Kennedy Groups RFID Turnkey Solutions enables you to advance your business to a new level of efficiency and improve visibility of your inventory as it moves across the supply chain. Whether you’re looking to increase productivity or effectiveness we have solution for your real-world problems. Topflight Corporation is the most responsive, reliable, and creative worldwide producer in our field of specialty information and signal delivery. An independently held, ISO 9001:2000 certified company, Topflight has been developing printing and labeling technologies since 1943. We specialize in printing and converting flexible materials, creating lean supply chain strategies, security solutions, and advanced functional components, including RFID constructions. Internationally recognized and located, our corporate headquarters is situated in Glen Rock, Pennsylvania. Vanguard ID Systems is a leading manufacturer of custom printed RFID, magnetic stripe and bar coded cards, key tags, labels, and bands. Founded in 1987 to manufacture bar coded transaction devices, we have grown to become the leader in the development of RFID cards, key tags, and labels. We have won numerous awards and received more than a dozen patents for our designs. We have been manufacturing RFID products for 10 years. Vanguard ID Systems, your single source for RFID, magnetic stripe, and bar coded products. Please contact Alan Neves at (800) 323-7432 x207 or alan@vanguardid.com for details on our RFID products. Vizinex RFID, located in Allentown, PA, designs and manufactures Application Specific RFID tags for diverse asset tracking applications. Typical applications for Vizinex include tags for the rugged environments in the oil industry, medical devices requiring repeated sterilization, and longer range vehicle/rental equipment tracking. Our Sentry-ASTTM line of rigid asset tags provides unsurpassed read reliability and consistency. Vizinex RFID works closely with its customers to achieve optimal performance characteristics for its products, providing increased value for Vizinex’s customers. With design, prototyping and manufacturing all located in the U.S., our time from concept to delivery is unmatched. Vizinex RFID maintains a tradition of innovation, superior functionality and outstanding customer support – allowing us to deliver RFID, the way you imagined. VisionMark, located in Sidney, Ohio, designs and manufactures engineered graphics for industrial OEMs and other manufacturers. VisionMark enjoys partnerships with leading RFID inlay manufacturers to offer you a comprehensive range of UHF and HF labels that are 100% tested, with or without encoding. Call your VisionMark Customer Service Representative for additional information on VisionMark’s custom AIDC products. For more information contact David Clarkson at 937-492-3100 or dclarkson@visionmark.com. Weber Marking Systems is a leading worldwide innovator in the design, manufacture, and supply of high-performance labels and labeling solutions, including the latest in RFID tags, labels and encoding equipment. Weber provides complete systems, software and media, then supports them with direct sales, equipment service, and technical support. The company, with world headquarters in Arlington Heights, Ill., has sales offices and service locations throughout the United States, Canada, Mexico, Europe and Asia. William Frick & Company is the industry leader in custom labeling, graphics and identification. Their SmartMark® line of RFID tags and labels includes over 100 designs tailored for RFID’s most challenging applications. These tags and labels are extensively tested for durability. They’re designed for corporations worldwide including retail, OEM, warehouse & logistics, utilities, telecommunications and more. Frick specializes in prototyping as well as short or long productions runs. SmartMark RFID tags and labels offer dozens of unique designs and constructions including products for harsh environments, long-term outdoor applications, chemical exposure, returnable asset management, security and more. They’re created using a wide variety of film, adhesives, over-laminate, plastic materials and various manufacturing design options. Ceracarta’s RFID department studies with the customer the best solution for the application, choosing the appropriate material to build the needed tag. Ceracarta SpA offers to the client its know-how in different fields, such as hospitals, logistics, asset tracking, access control, textile, industrial applications. During the years, the continuous technological progress and the expansion of the production lines, as well as the experience achieved, allowed Ceracarta SpA to become one of the most important Italian RFID manufacturer. Databac Group is a specialist manufacturer and supplier of paper, PVC, PET and polycarbonate cards, badges and 20related products. Since its inception in 1970, the company’s focus has been squarely on the identification of people and products. This includes cards, keyfobs and accessories, as well as systems and software development for applications such as card printing and encoding, event accreditation, visitor tracking, etc. For three decades, Databac has been manufacturing ID cards, keyfobs, wristbands, package labels and other bespoke products incorporating one or more reading technologies for use in a host of applications, including access control, time recording, library, automatic data collection, cashless vending, loyalty and membership. For this purpose, the company works closely with international equipment manufacturers (OEMs) and systems designers to ensure its cards’ compatibility with reading equipment specifications. Databac sells and supports its products via its HQ in Surrey, UK, and its Southern European sales office based in Barcelona, Spain. GERA-IDENT is an auto-ID company with its main focus on RFID technology. Employees and equipment are specialized in passive RFID, especially HF (13.56 MHz) and UHF (860-960 MHz). Core markets of GERA-IDENT are divided in laundry/textiles, logistics, ticketing and document/asset management. This philosophy demands comprehensive and diverse production and development capabilities but enables the company to create better and more flexible solutions to assist its clients. HID Global is the trusted source for innovative products, services, solutions, and know-how related to the creation, management, and use of secure identities for millions of customers around the world. The company’s served markets include physical and logical access control, including strong authentication and credential management; card printing and personalization; visitor management systems; highly secure government and citizen ID; and identification RFID technologies used in animal ID and industry and logistics applications. The company’s primary brands include ActivID®, EasyLobby®, FARGO®, IdenTrust®, LaserCard®, Lumidigm®, and HID®. Headquartered in Austin, Texas, HID Global has over 2,200 employees worldwide and operates international offices that support more than 100 countries. HID Global is an ASSA ABLOY Group brand. Alien Technology UHF chips are primarily used in HID Global’s rugged industrial RFID tag portfolio, see the RFID tag selector page for more details. Radio Frequency Identification is changing our world. The technology offers great potential for industry, commerce and industry. It offers advantages such as: product traceability, theft, speeding up the process and logistics for a substantial savings. Label Plaza has in 20 years time developed into a leading provider of innovative solutions and labels. A large and diverse customer base is the result. Since 2009, there is the branch label technology added, they use the knowledge of the three specific sectors in order to produce RFID labels. The company Plöckl Media Group GmbH developed from the traditional pre-press companies (Typodata GmbH) and high-end digital printing (DigiDruck GmbH) and their specific refining and processing facilities. Focusing in the innovative segment of the production of high quality, custom-resistant labels for various applications, we are the leaders. We have made it our mission to look more closely, to listen more closely and provide open dialogue with our customers. We offer highly resistant special RFID tags, as these are used in the aerospace, chemical industry and large logistic companies. Just as often, our consulting know-how around the label is used. We continue to have a firm goal to be our customers preferred supplier. PMG GmbH – Competence in RFID labelling! RF LabelTech AS is a new name but the company behind, PrinterLabels AS, is an old well established production company that for over 40 years has been devoted to development and production of specialties. PrinterLabels AS has for many years had two focus areas, production and sales of price labels and price guns/handlabelers and manufacturing of barcode labels and anti-theft labels including EM and RFID. In 2007 PrinterLabels AS was acquired by Limo Labels AS a major label company with branches several places in Europe. The Limo Group currently has a turnover of approx € 18 million and 75 employees. Founded in 1967 Rotas is the first firm in Italy that produces exclusively self-adhesive labels in rolls. Rotas RFID department, introduced in 2000, is now specialised in the cost-effective high-volume production of RFID labels. Rotas’ key features are Quality, Creativity, Flexibility and Versatility, at the lowest industrial cost. Material, RFID Inlay, Adhesive and Ink are carefully selected to meet the specific needs of each end-user application. RFID Tags, labels and cards developed by Rotas have been successfully deployed in real-life applications also in harsh environments (retail, supply chain management, logistics, library systems, access controls, etc.). SINEL SYSTEMS is a leading manufacturer of self adhesive labels and shrink sleeves. SINEL also offers automatic identification, printing, and labelling systems: bar code printers and readers, variable label printing software, label printer-applicators, labelling machines, laser markers, etc. to provide complete solutions of our clients’ needs. SINEL offers you a global solution to carry out your RFID project with full guarantee of success. SINEL’s long record of more than 60 years of service has endowed it with unmatched experience and a deep understanding of the most innovative printing techniques. System Label is a European company specialising in the manufacture of screen-printed technical labels, decals, overlays, membrane switches, control panels, product identification solutions and RFID label technologies. With its in-house design and development team and high speed manufacturing processes, System Label can deliver everything from small quantities of RFID and EAS labels for pilot application tests right through to larger runs of RFID and EAS labels into the millions of tags per year. System Label also offers the facility to overprint and/or encode RFID labels with a unique ID, such as EPC or serialized barcode numbers, allowing you to worry about the other elements of your RFID application knowing that your RFID labels are in the hands of the experts. All high performance labels are manufactured from UL and CSA accepted constructions. Products can be supplied in sheet or reel format. Digital printing is also available for full colour, lower volume runs. Winckel is an established RFID manufacturer and system integrator, and one of the European Leaders in the UHF and HF market space. We can offer our customers ‘best of breed’ RFID solutions due to our unique business strategy of in house RFID label manufacturing, in house RFID software development and international business partnerships with global RFID manufacturers. Due to our combined expertise, acquired through one and a half centuries of technical know-how, ranging from production through to development and design of labelling products, and a decade of RFID experience, we have been able to produce a superior RFID product. Our brand identytag® stands for reliable, high-quality RFID media. We focus on the needs and requirements of our customers: From the concept to the end product, we collaborate with you to develop the specific product that you require. Due to our close customer relationship, we enable our identytag labels, tags, tickets and other RFID media to achieve significant customer advantages. YouCard Kartensysteme GmbH offers professional (system) solutions for printing, encoding and personalization of plastic cards such as smart cards, RFID cards and magnetic stripe cards. 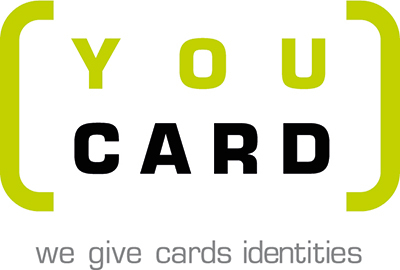 With many years of experience across industries, YouCard will always provide perfect professional advice from small card printing projects to complex customized system solutions for corporations, offering a full range of professional card production. Cards India is pioneer in converter of RFID tags and reseller of RF, RFID tags and readers. Our consultants – business technology specialists, brings in depth functional and technical knowledge to every client’s engagement. National RFID Solutions (NRS) is a premier in RFID Solutions in India and is an IT division of Cards India. We deliver the solutions with complete project management ownership. NRS offers a complete range of high ROI business solutions and take care client’s demand by delivering high end solutions and services. It is a rapidly growing Global IT and leading RF Solution provider. We have solutions across major domains like SCM, Asset Tracking, Institutional Management, Logistics & Fleet Management, Manufacturing & Distribution Sectors, Retailers, Hospitality, Livestock, Parking Control, Automatic Vehicle Identification, Amusement Parks and Toll Free sectors. Great Eastern Impex Pvt. Ltd., est. 1983, is India’s leading systems integrator & solution provider in Barcode & RFID technologies to help businesses to identify, move & track goods across the supply chain. Core capabilities include standards driven & custom built solutions; label, tags & ribbon conversion facility (ISO 9001:2008 certified); & nationwide service support to end users. Identis is a leading manufacturer of RFID Tags and Cards in India. Established in 2010 with funding from the Hyderabad Angels, we have in a short span of 4 years established a leadership position among the most innovative RFID companies in the country. With a deep focus on delighting customers, we have established a state-of-the-art facility and empowered our R&D, Design and Engineering teams to produce high quality products that match the best in the world. We are an ISO 9001 and ISO 14001 certified company. We are also one of the select few companies in India with international product certifications. We manufacture customized LF, HF and UHF Tags and Cards as per ISO standards and internationally accepted protocols. Perfect ID, India’s 1st Fully Automated RFID Tag Manufacturer, as a leading developer and manufacturer of high quality and smart UHF RAIN RFID inlays and tags. With its state-of-the-art lab and armed with an experience of over 30 years in the field of RFID tag manufacturing, our team is dedicated to the manufacturing of high quality RFID labels, focusing on providing highly efficient and accurate RFID Identification. TTF (part of the PVL Group; members of AIM & GS1) is a manufacturer of RFID Tags, started in 2008 with support of more than 75 employees with the primary objective of distinct culture of customer satisfaction through product quality, affordability and on time delivery. We are an ISO 9001:2000 certified company and have the capability to design and manufacture customized tags in various frequencies (LF, HF & UHF) as per ISO Standards. Besides product development, R&D is also focusing on long read range products with high performance. Our vision is to achieve global leadership in providing value-added high quality RFID Tags to our customers to enable advance business and a new level of efficiency, by providing combining technology, process focus and a commitment to long-term customer relationships. We TVASTA ID INDIA PRIVATE LIMITED (TIIPL) are the premium manufacturers of high-quality passive RFID tags. The purpose of our existence is to enable customers to maximize value through the implementation of an efficient and economical RFID Systems. An ISO 9001:2008 company, TIIPL is promoted by visionary technocrats and duly supported by a strong team of qualified and experienced professionals with proven capabilities. The top management that forms the TIIPL board is packed with experienced professionals having more than 100 man-years of experience in the corporate world. The company has established state-of-the-art manufacturing facilities at Hyderabad (207/8, Phase II, Cherlapalli Industrial Estate) adopting the finest technologies and processes. The company is also associated with – ADVAN ID, FROSCH, NXP, SYSCO, ENGEL, and ELEKTRISOLA for the supply of machinery, testing equipment and raw material. Arizon RFID Technology (Yangzhou, China), 100% owned by YFY Group, is a leading company to provide first-class manufacturing services of inlays / tags / tickets and cards for worldwide RFID industry. “”] By 2012 Arizon has produced and delivered more than 1 billion inlays / tags meeting highest quality standards in HF and UHF technology for its valuable customers. “”] Arizon has established inlay / label monthly production capacity up to 85 million pieces, and will continue its strong investments to further boost its monthly production capacity to 150 million pieces in 2014 for satisfying the market’s fast growing needs. “”] *YFY (Yuen Foong Yu), is one the most iconic companies in Taiwan. Starting out as a papermaker to developing a conglomerate on a multi-industry scale, it integrates business sectors of pulp, paper, printing, banking/financing, bio-technical, LCD, FPC, and many other innovative technologies such as e-paper, to become one of the leaders of the industry. DAEMYUNG ITS Co. Ltd., is professional enterprise of manufacturing RFID Tags, such as Labels, Cards, Tickets. We are the leading RFID Tag manufacturing company in Korea who has a long term know-how and up-to-date cutting edge technology that produce fine quality products. A craftsmanship of 30 years tradition brings all kinds of business forms printing, various tickets, cards, labels. We DAEMYUNG ITS continuously develop technology for next generation offering top-notch products and services with creative talents, leadership, challenge and innovation. MOTEX is the leading manufacturer and exporter of labeling products in Korea since 1975. We are engaged in manufacturing and exporting barcode label printing scales, electronic scales, price labelers, automatic rotary printing machines, and other tools for retail applications. We have grown to become a global market leader by satisfying consumer demands for original, high-quality, innovative products. We gained a position at the forefront of this industry worldwide as our products are now accounting for 25% of the international market. By continuously focusing on unwavering commitment to R&D of high-tech products, we successfully introduced RFID converting technology. SES RFID Solutions is a RFID transponder manufacturing and designing company with head quarters in Germany, a worldwide design centre in Taiwan and production in China. The company has been in the market offering innovative transponder solutions for more than 10 years. We offer standard products and specialize in full custom design of RFID cards (white and printed), industrial tags, key fobs, labels and tickets for asset management, access control, transportation and security applications. Star RFID Co Ltd, is located in Bangkok Thailand. We are a specialist RFID Label Converting company which produces all types of RFID labels, RFID Tickets, RFID Wrist bands and RFID Tickets. Our factory is built to European standards and equipped with German and American equipment. We welcome all challenges big or small.